WHO WINS, WHO LOSES, AND HOW DO WE DEAL WITH PROLONGED, PARALYZING UNCERTAINTY? "AS ENTREPRENEURS, WE ALWAYS ADJUST TO POLITICAL environments." The EU and the UK are parting ways in what experts are warning will be the costliest, messiest western government breakup we’ve seen in our lifetime. Britian's political system faces months, if not years, of instability. The fallout might set off a chain reaction causing other EU countries to also invoke "divorce" referendums. Our world is about to change, substantially, and in ways we can’t fully predict. The EU and the UK are about to embark on what experts are warning will be the costliest, messiest western government breakup we’ve seen in generations. The dismantling of 43 years of administrative ties between the UK and the EU, and renegotiating 80,000 pages of commercial agreements, will take years to resolve (amicably, if we're lucky). 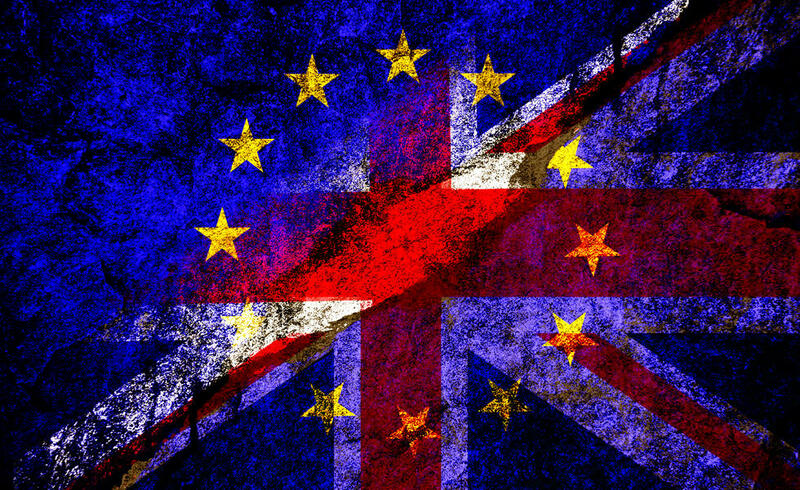 If Brexit proceeds, Britain’s political system faces months, if not years, of instability, while the rest of the world will languish in uncertainty, and a severe economic downturn or possible recession. This much is clear, with other EU countries threatening to invoke similar "divorce" referendums, and with America experiencing its own populist revolt (Trumpism), our world is about to change substantially, uncomfortably, and in ways we can’t even begin to imagine. Now what? Join us for an informative, thought-provoking discussion on this unprecedented global event that will affect us all for years to come. We've assembled a killer panel of influencers who will offer nuanced analyses of Brexit, and what entrepreneurs (and the tech community) can possibly do to protect themselves, and their companies, from becoming casualties of war. Bring your questions and an open mind -- this will be an interactive panel discussion. Drinks and lite bites included. What HERE for the lowdown! John Frankel is the founding partner of ff Venture Capital and has been a seed- and early-stage investor since late 1999. John focuses on advising and growing technology and technology-enabled companies across emerging industries, including smart locks, cloud-based security, machine learning and artificial intelligence, UAVs, enterprise software and crowdfunding, among others. He has served on the boards of more than 35 companies and has led investments in more than 80 companies. Prior to founding ffVC, John worked at Goldman Sachs for 21 years in a variety of roles that involved technology development, re-engineering and capital markets. Joyce is the global director of emerging tech partnerships and investments at Thomson Reuters. She leads the Thomson Reuters efforts on emerging technology research & strategy, partnerships, and investments globally. She is a regular speaker on emerging enterprise technologies, startup ecosystem, and product innovations. Before joining Thomson Reuters, Joyce was the founding executive member and CFO of Bluemix cloud platform at IBM. She also spent several years leading technology mergers and acquisitions at IBM Corporate Development. Joyce received her undergraduate and masters degrees from the University of Chicago. Yalman Onaran is Senior Finance Reporter and Analyst for Bloomberg News covering global banking, regulation and the politics of finance as well as comparing the problems of European banks to their U.S. counterparts, and identifying the effectiveness of new bank regulations. Onaran covered the 2008 global banking crisis extensively, and is the author of Zombie Banks: How Broken Banks and Debtor Nations Are Crippling the Global Economy . Onaran's work has also been published in The New York Times, The Washington Post, the Chicago Tribune, Businessweek, Frankfurter Allgemeine Zeitung and numerous other publications around the world. Read his recent articles HERE. Executive Vice President OCO North America, based in New York. Prior to joining OCO, Spencer held various senior roles over a 14 year period with UK Trade and Investment and the UK’s Department of Business, Innovation and Skills. His most recent role was HM Consul and Director for the Eastern Region of UK Trade and Investment's US Network where he worked for 5 years. In that role, Spencer had responsibility for the UK’s Trade and Investment teams in Atlanta, Boston, DC, Miami and New York supporting around 200 US FDI expansions to the UK each year. He was also responsible for the UK’s export strategy to the US, where he oversaw an increase in UK business success attributable to UKTI support from $30m a year to $1billion. Steve Faktor founder and CEO of IdeaFaktory. He is an entrepreneur, futurist and digital commerce expert. Steve is the former head of the American Express Chairman’s Innovation Fund and senior strategy and innovation executive Citi, MasterCard and Andersen. Steve has created several $100M+ businesses and deployed several enterprise-level innovation programs. As Vice President of Growth and Innovation and Head of the $50M Chairman’s Innovation Fund. successful launches included LoyaltyEdge, Private Sales (joint venture with Vente Privee) and Zync. As Senior Vice President of Innovation and Growth Ventures at Citigroup, Steve led global innovation enablement. He is author of Econovation and writes articles on innovation for Forbes and HBR. Charlie spent years in the trenches of traditional media in advertising and publishing at BBDO and Conde Naste, and in tv/film producing sitcoms and dramas at Sony Pictures Entertainment, Paramount Pictures, Warner Brothers, Dreamworks, Oscar-award winning indie production companies, and Sundance Film Festival. before launching Served Fresh Media (a New York-based company). After spending several years in corporate law in document review at global firms (White & Case, Clifford Chance and Wachtel Lipton to name a few), Charlie segued seamlessly into tech and new media launching her first startup (Art of Talk TV - web video platform) and Served Fresh Media (launched 2009) providing digital media strategy, product ldevelopment, and consulting on implementing innovative technology. more mingling then it's a wrap! *MarketplaceLIVE is the place where the complete community of cloud and internet stakeholders can come together as equals and cross-pollinate ideas. This tech community event has been working together to build for digital success for over 12 years, and this year, the company that brings you MarketplaceLIVE, Digital Realty, is offering a unique event experience with the theme, Learning from Unexpected Places. Join over 1,000 tech enthusiasts and industry leaders at MarketplaceLIVE on September 22, 2016 for a series of keynotes, breakout sessions, workshops, tech exhibits, and match making experiences! To get 25% off early bird pricing until July 31st http://bit.ly/mplivediscount! MarketplaceLIVE is the place where the complete community of cloud and internet stakeholders can come together as equals and cross-pollinate ideas. Join over 1,000 tech enthusiasts and industry leaders on September 22, 2016 for a series of keynotes, breakout sessions, workshops, tech exhibits, and match making experiences that are built for IT & Engineering professionals, and Tech professionals. The first 100 people to register get 25% off the early bird pricing until July 31st at this link HERE. Watch the full keynote presentation here. What happened and why? Who are the major players? Truth versus hype.